Interact with 3D and flattened map designs. Is there a better alternative to Map Designer? Is Map Designer really the best app in Productivity category? Will Map Designer work good on macOS 10.13.4? 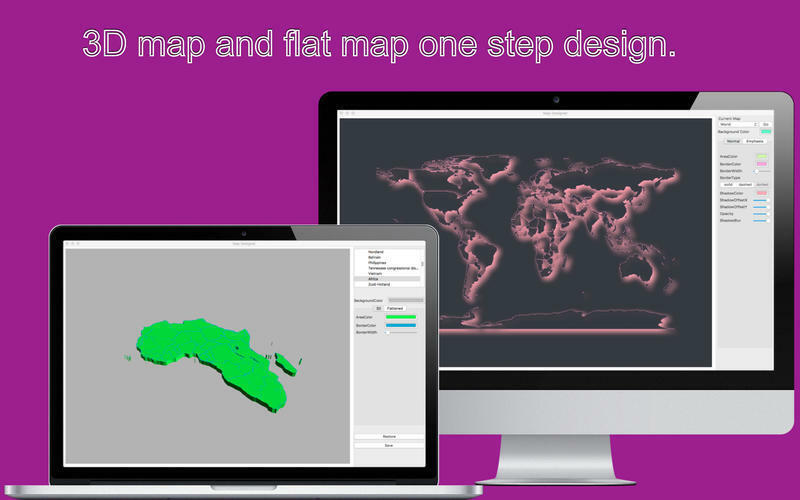 Map Designer allows you to interact with 3D and flattened map designs. 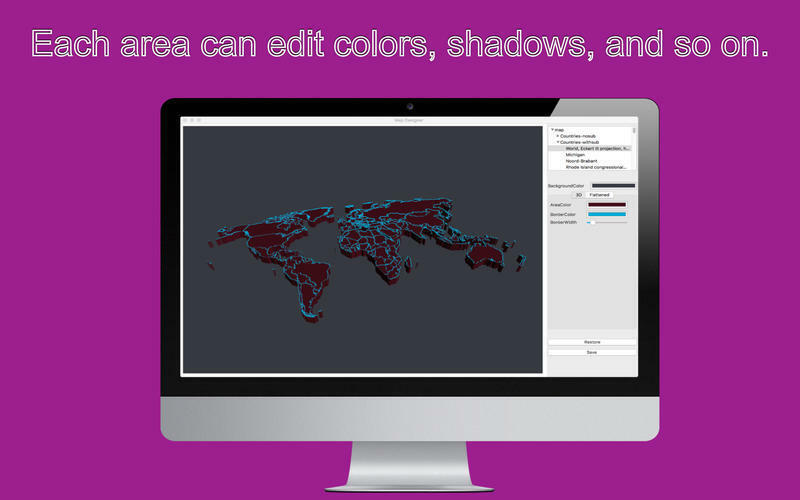 You can change the background color, border size and color of the map at any time. 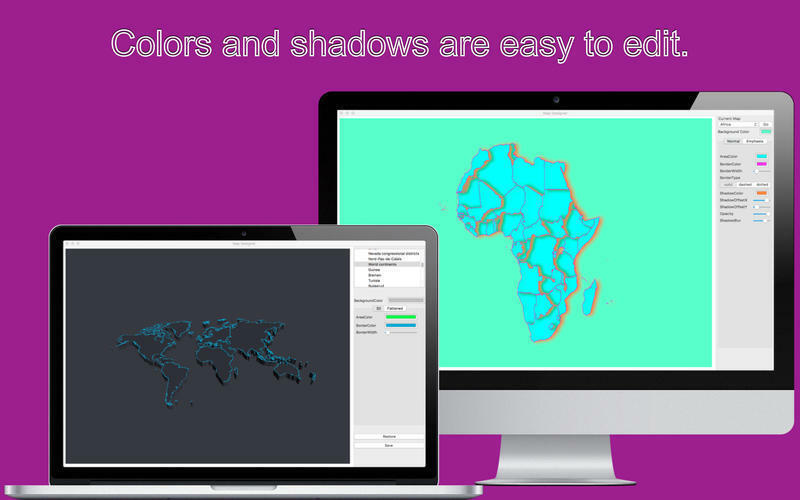 But also at any time to change the size of his shadow and shadow color. 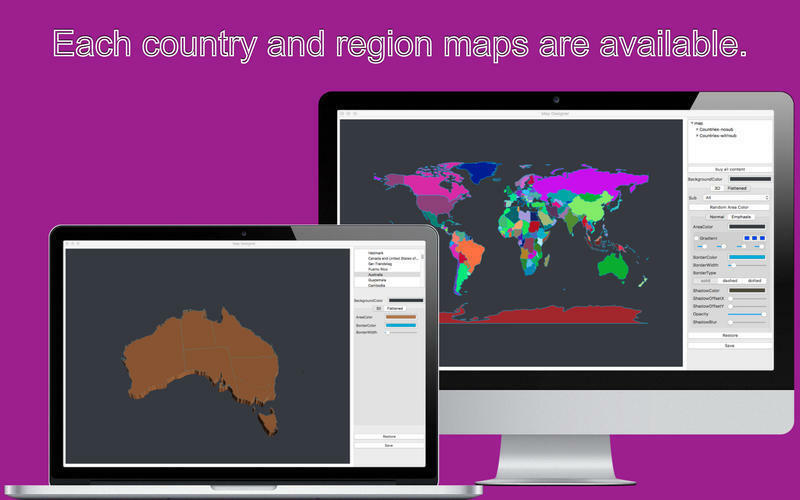 You can edit most of the world's regions and countries. You can edit the map color of the area. 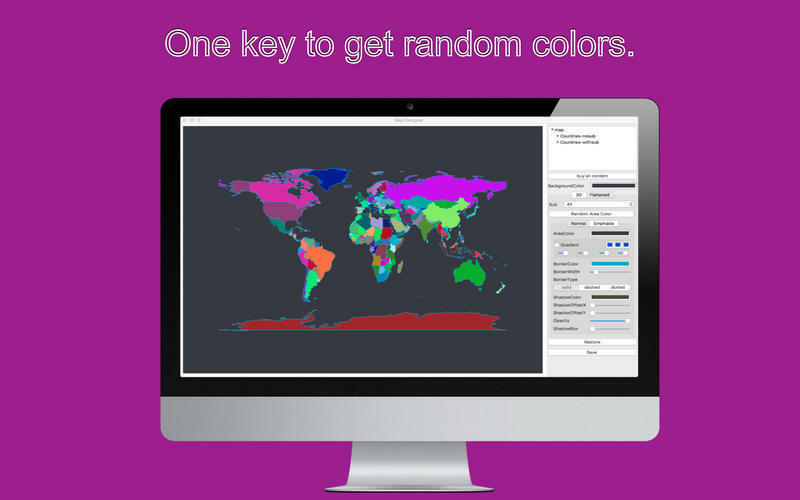 You can add a gradient color. You can edit in 3D mode. Add more regional map data. Map Designer needs a review. Be the first to review this app and get the discussion started! Map Designer needs a rating. Be the first to rate this app and get the discussion started!